June 21st. It's officially summer and this year it's Father's Day. Chris' favourite sport to watch is baseball which means it's perfecting timing for this post. 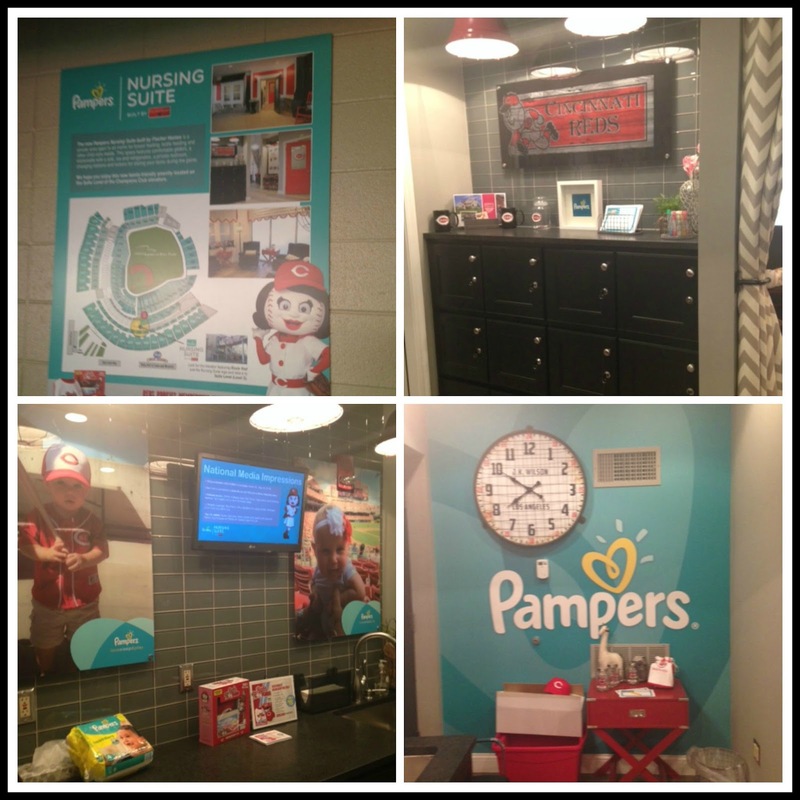 When I was in Cincinnati over a week ago, I had the opportunity to visit the Great American Ball Park - home of the Cincinnati Reds (Chris was totally jealous) AND the first-ever Pampers Nursing Suite. Have you ever taken your child to a baseball game at SkyDome (OK, "Rogers Centre")? Hannah went to her first Blue Jays game when she was 8 months old. There was no place to feed her except the stands. There was no place quiet to go and sit when she wanted a quick nap. I do applaud the Jays for having change tables in almost every washroom. And the stroller valet parking is definitely a plus. And if your child is going to freak out anywhere, an open stadium is probably the place to do it. But boy, would I love the Jays to build a Pampers Nursing Suite for their fans! 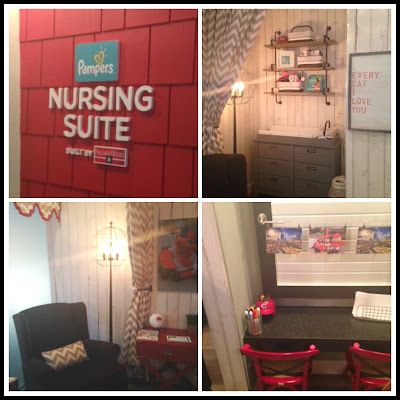 The new Pampers Nursing Suite built by Fischer Homes is a private area open to all moms for breast feeding, bottle feeding and other child care needs. This space features comfortable gliders, a kitchenette with a sink, ice and refrigeration, a private restroom, changing stations and lockers for storing your items during the game. 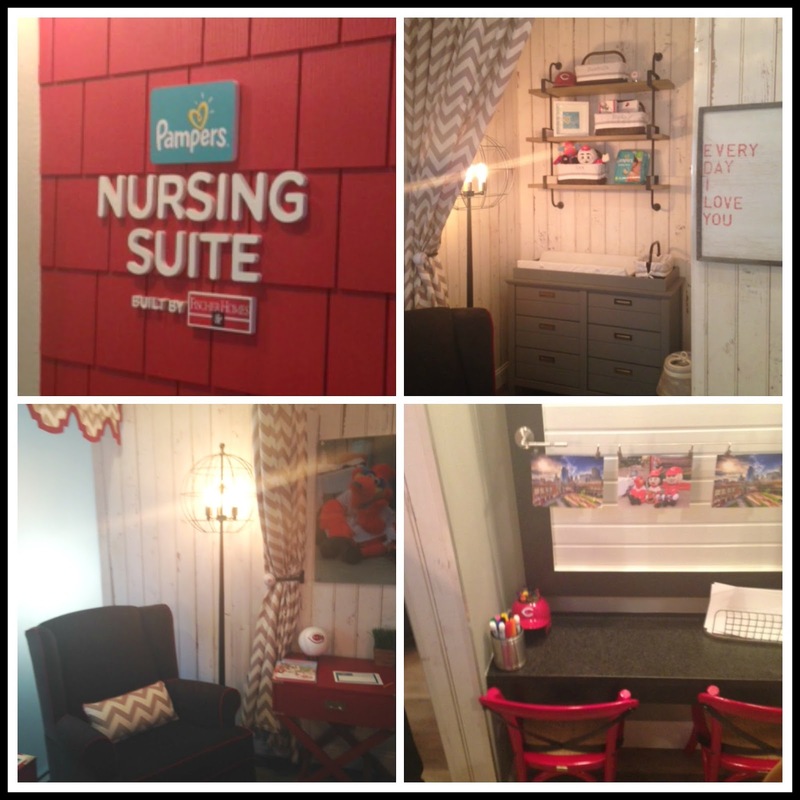 The Nursing Suite is located on the Suite Level near the Champions Club elevators. The Pampers Nursing Suite also has an area where siblings can colour - and of course televisions so fans can keep up with the game. It's also air conditioned so it's a great place to take a cool breather from all the hot baseball action. 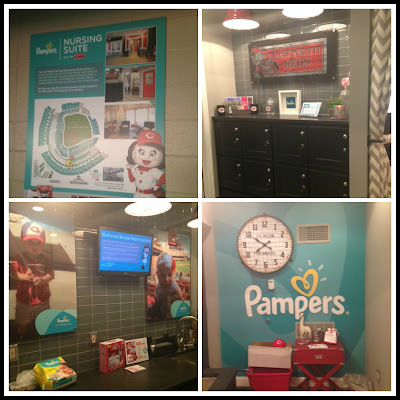 Wouldn't you love your local ball park or arena to have a Pampers Nursing Suite?